I listen to jazz music when I bake bread. I have this theory that it makes the bread taste better. It's probably not true. But things are going well for me in the bread department so I'm honestly a little afraid to stop now. I grew up in a family of bakers and cooks. Both of my grandmothers, specifically. I learned most of my baking skills from my late grandmother, Edwina, who taught me how to scoop flour properly. Fluffing it with a fork and then scooping into a measuring cup. 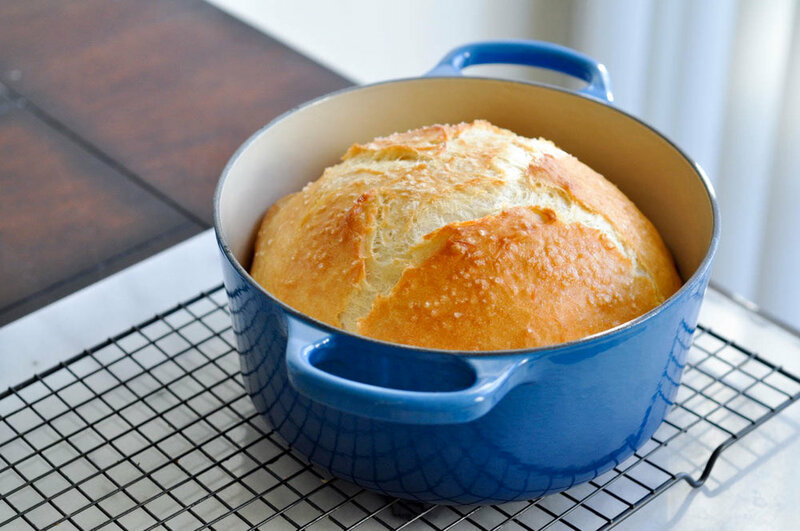 Avoiding a common novice bakers mistake of packing the flour too tightly into the measuring cup, so that it lead to dense cakes and heavy bread loaves with too much flour. She was a phenomenal bread baker. In fact, so is my mother, and pretty much every woman in my family. I have wonderful memories of when my mom would have a fresh loaf baking. That fantastic smell wafting throughout the house, and the growl in my stomach as I waited with anticipation. The minute it was out of the oven my sister and I would run to the kitchen, watching as my mother sliced the bread open and steam spilled out the top. We'd eat it hot, skipping a plate and holding it in our hands, only a paper towel standing in between our palms and that delicious crust. I'd cover mine with butter and honey, letting the soft bread warm me up from the inside out. A grin on my face as I tore the bread into pieces and tasted it's soft and fluffy filling. Making sure to eat the entire thing before asking for another piece, because my mom promised that the crust would make my hair curly.